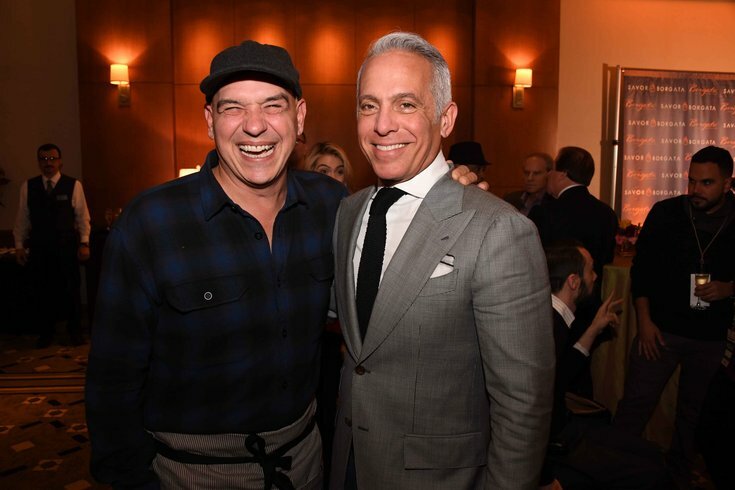 Michael Symon and Geoffrey Zakarian pose for a photograph together. Borgata Hotel Casino & Spa is celebrating its 15th birthday this July. On Saturday, July 7, there will be a family-friendly party outside the Borgata, from 11 a.m. to 4 p.m.
Iron Chefs Geoffrey Zakarian and Michael Symon will be the event's hosts. You might recognize Zakarian as a judge on the Food Network's "Chopped," and Symon as a co-host on ABC's "The Chew," which taped its final episode this June. Symon also owns Italian restaurant Angeline at the Borgata. At the outdoor Birthday Bash, there will be carnival-style food and drink, games and live music by cover band Lost in Paris. Admission is $5, but children under age 5 and M Life Rewards cardholders can attend for free.